I hope you all had a wonderful weekend. Never easy to get up on a Monday morning. I am personally not at all a morning person. There is nothing better than to sleep in. Unfortunately that's not often the case anymore. I mean - you want to use the time you've got in the weekend to do all the activities you've planned, right? So the only way is to improve your handling with sleep and getting up. 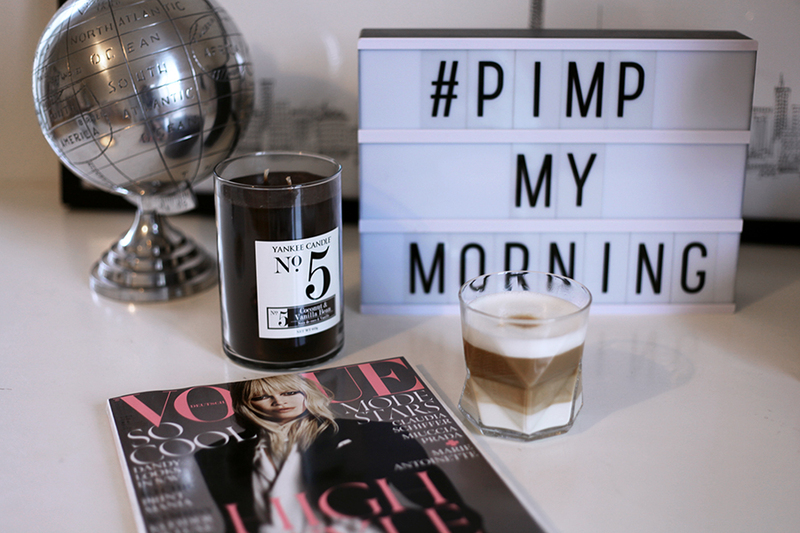 So here is my personal guide to have a happier morning. The art to start better into the day. First rule - go to bed early. Even if you are never tired in the evening - go to sleep. You will thank yourself in the morning. Night-owls will realize that the morning can be merrier if you slept more than 5 or 6 hours. I am still working on this. In the morning - don't snooze. It will make you even more tired. Open the window and the blinds and get up immediately. Put on some joyful music in the morning. It will brighten up your mind. Some happy sound always helps. I am a big lover of piano and saxophone tunes. And then it comes to my personal favorite. Get yourself a coffee. As I really am a coffee addict it happens that I already look forward to my morning coffee in the evening before. 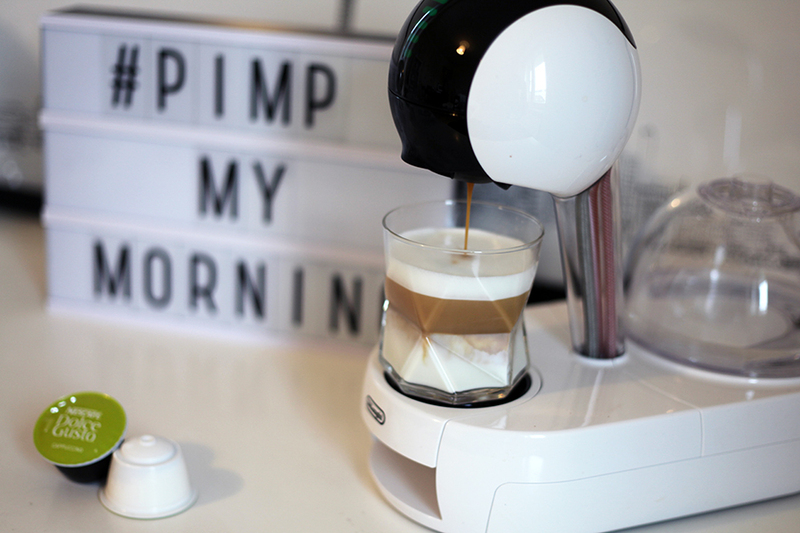 I got the chance to try out the Nescafé Dolce Gusto machine and I am amazed by the easy way you can get yourself a perfect cappuchino. The design reminds me a bit of R2D2 of Star Wars so this even makes me happy as well in the morning. You only have to fill in the water, put in the capsules and your coffee will be prepared magically. Check out the magic machines here. Mine is called Stelia. So have a happy day and enjoy your coffees!